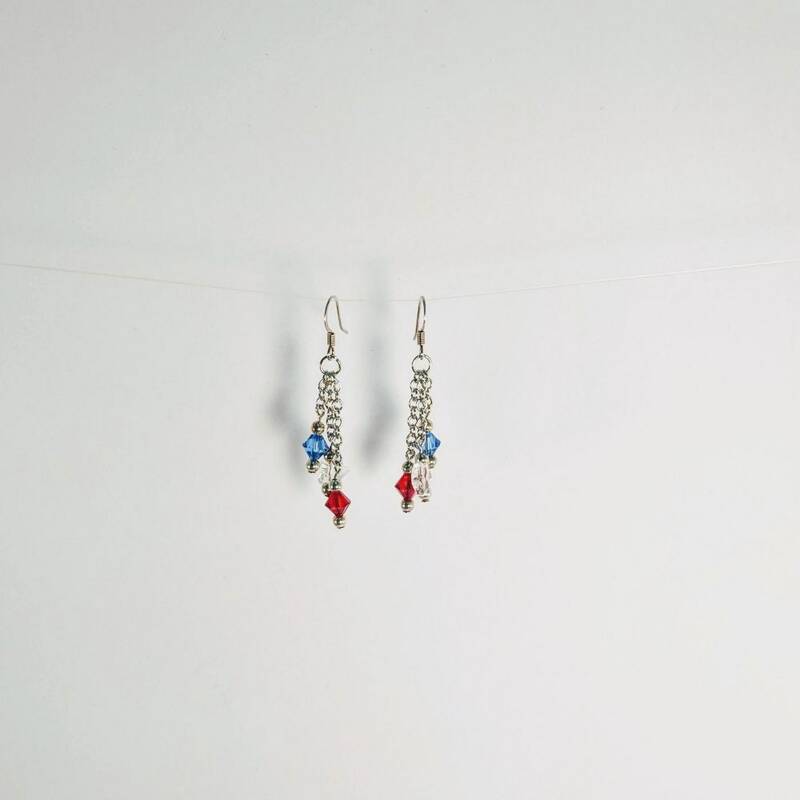 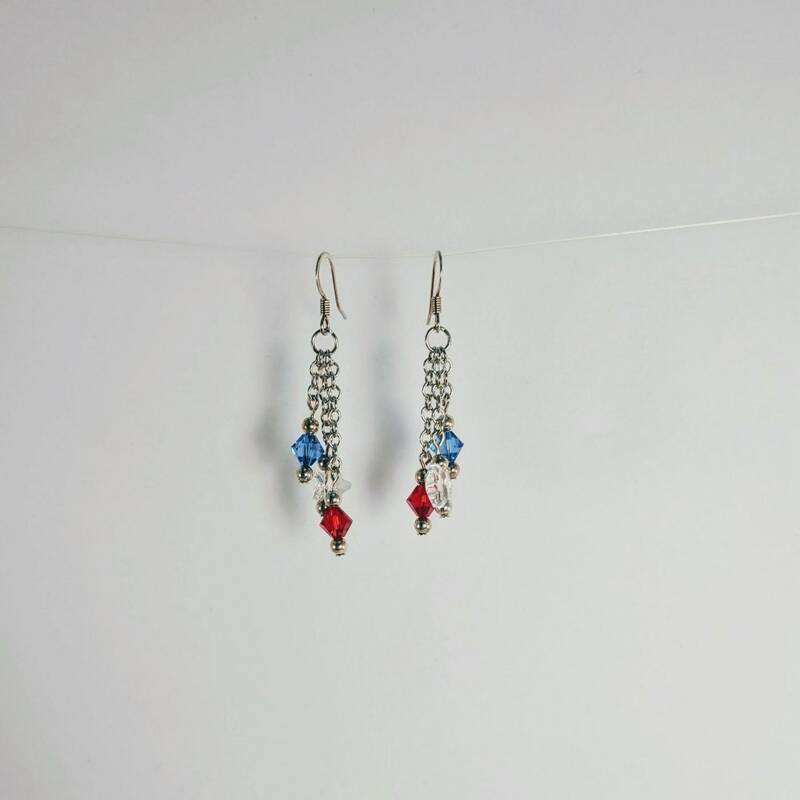 6mm glass crystals in a patriotic color scheme linked to chain dangles. 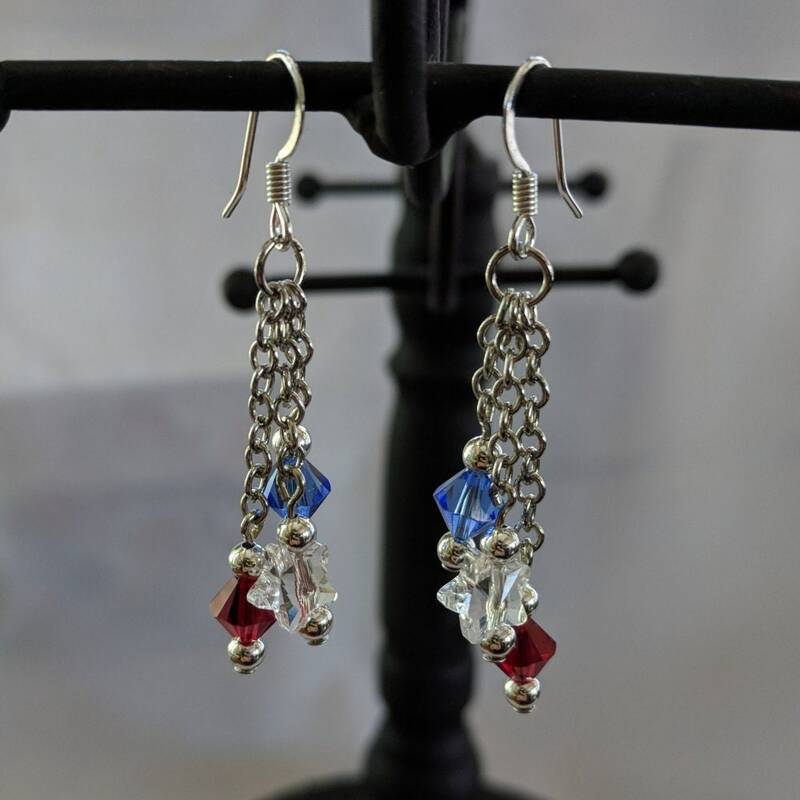 Clear crystal in center is a star. 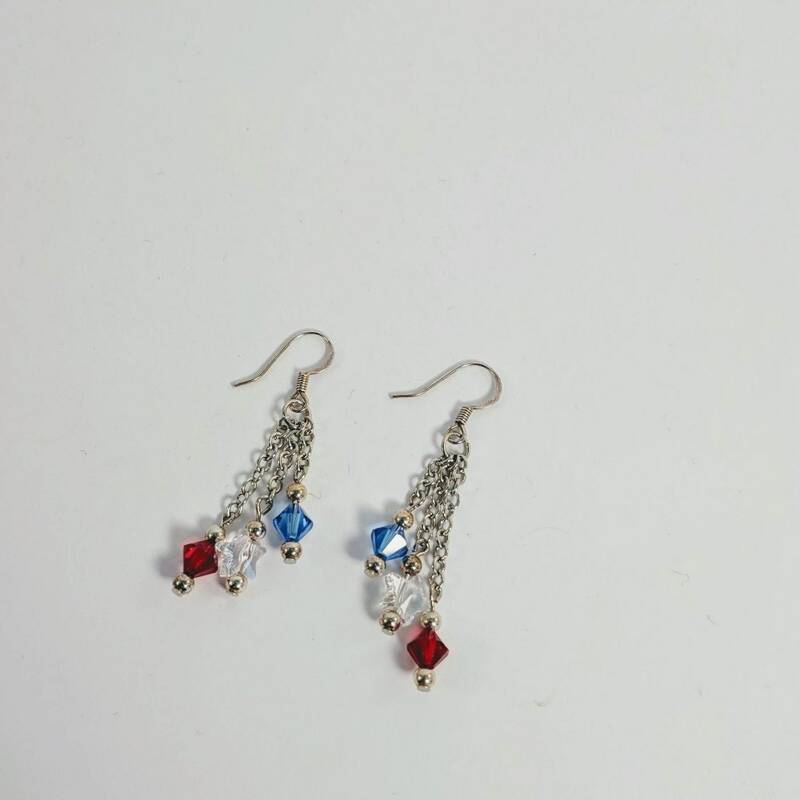 Earrings measure approx. 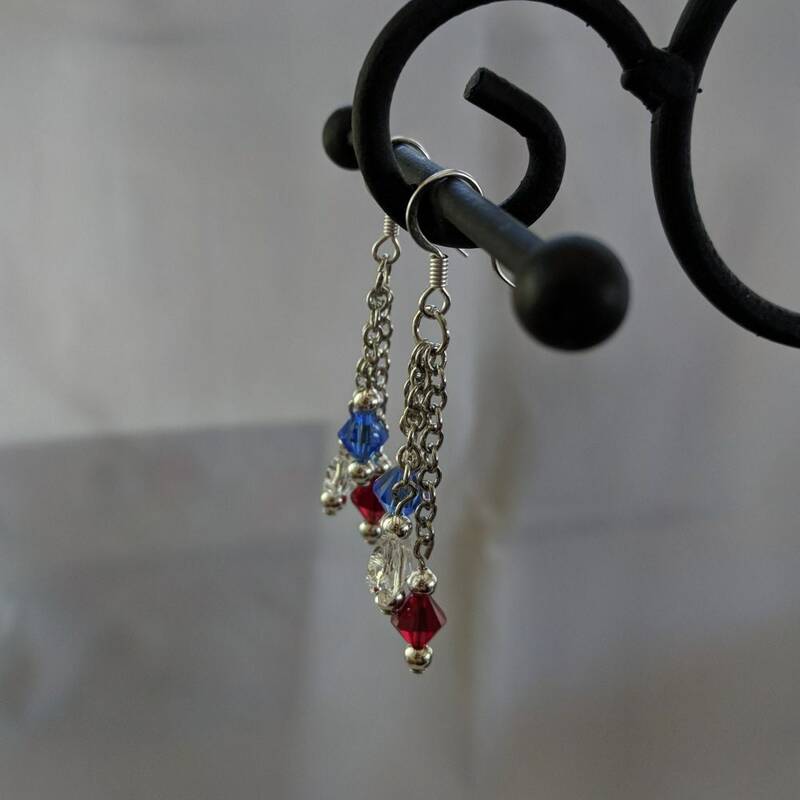 1 1/4" at the longest length of chain from bottom of earwire. 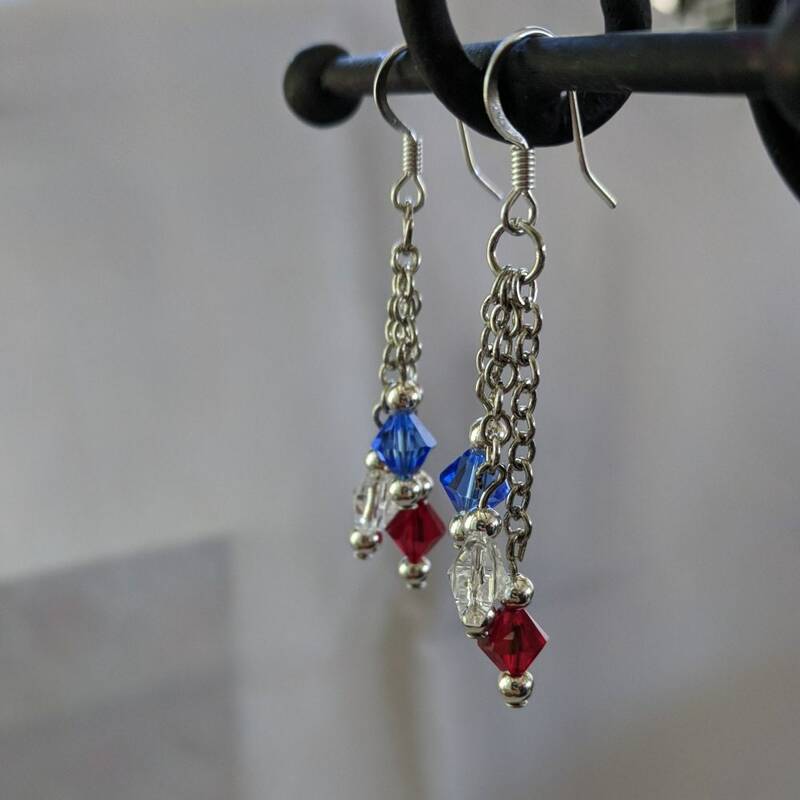 See more Independence Day Jewelry in my Holiday Jewelry section.